An anticipated Apple high-definition television set, complete with iOS features including Siri voice commands, FaceTime video chat and access to the App Store, would be a strong product in a massive $100 billion market, according to a new analysis. Brian White with Ticonderoga Securities issued a note to investors on Monday in which he reiterated his belief that prototype television sets made by Apple are "already flowing through factories over in China in early stage pilot and prototype production." That aligns with a separate report from earlier Monday which also said Apple was assembling prototype HDTVs for a potential 2012 product launch. White said although the current $99 Apple TV set-top box is a "great product," Apple's revenue opportunity with such a device is limited. He said the Apple TV was originally scheduled for a hardware refresh this year, but that update was delayed in a move potentially related to an Apple television set. "We believe the TV experience is in need of greater simplicity and innovation, providing Apple with opportunity to yet reinvent another product category and develop even closer ties with its customers," White wrote. 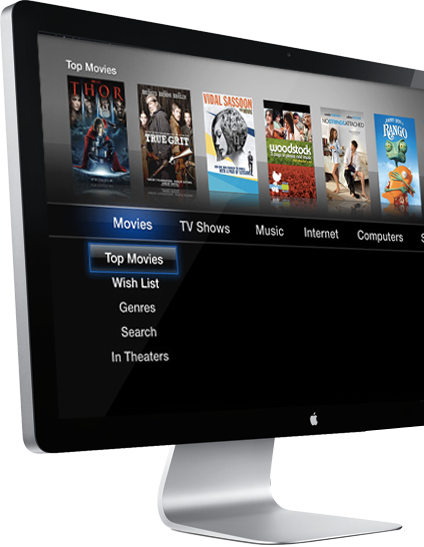 He cited research from DisplaySearch, which has estimated that the LCD TV market will generate $102 billion in 2012. He believes Apple could make a splash in that market but maintain its margins by charging a "healthy premium" when compared to competitors. He sees Apple's so-called "smart TV" carrying a price as high as two to three times greater than competing LCD TVs. But he thinks Apple will be able to justify that price, and find success with consumers, with the company's brand, its "unmatched aesthetics, expansive digital ecosystem and overall quality." "We believe a product could hit the market in the coming quarters, opening up a new growth category for Apple and driving sales of existing products that play into the Apple digital ecosystem," he said. In addition to offering Siri and FaceTime on its television set, he believes Apple could also bring its iAd advertising platform as well, allowing developers of third-party applications on the App Store to earn more revenue with software and games written for the HDTV. Apple's Game Center social network would also be a natural fit for an Apple-built HDTV, White believes. He sees a TV-focused App Store representing an even greater push for Apple into the gaming market. Speculation regarding an Apple television set has picked up considerable steam since late last week it was revealed that Apple co-founder Steve Jobs revealed to his biographer before he died that he had worked on creating a simple and easy-to-use HDTV. He told author Walter Isaacson that he had "cracked" the concept for such a device.